Fefa struggles with words. She has word blindness, or dyslexia, and the doctor says she will never read or write. Every time she tries, the letters jumble and spill off the page, leaping and hopping away like bullfrogs. How will she ever understand them?But her mother has an idea. She gives Fefa a blank book filled with clean white pages. "Think of it as a garden," she says. Soon Fefa starts to sprinkle words across the pages of her wild book. She lets her words sprout like seedlings, shaky at first, then growing stronger and surer with each new day. 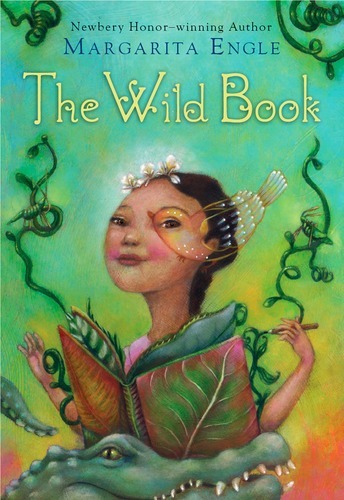 And when her family is threatened, it is what Fefa has learned from her wild book that saves them.